A woman is dead after being hit by a truck in Watertown, Massachusetts, and that woman's son has been accused of stabbing the driver five times. 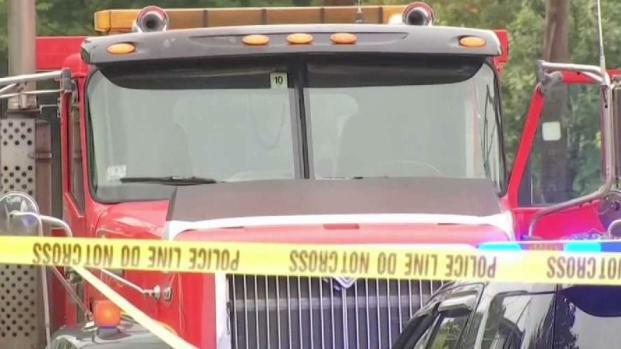 A pedestrian has been fatally struck by a tow truck in Watertown, Massachusetts and her son retaliated against the driver by stabbing him multiple times. 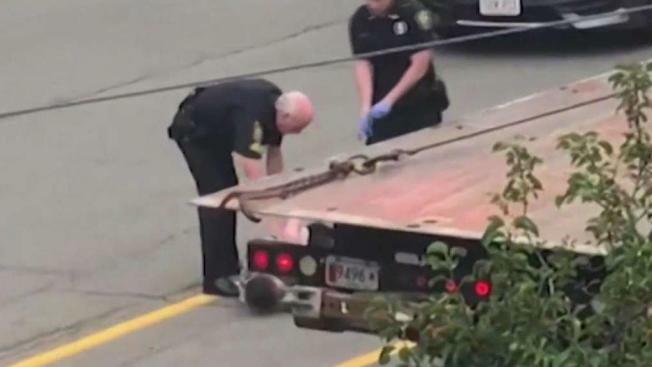 The Middlesex District Attorney's Office said Watertown police responded to a call around 11:20 a.m. for a reported road rage incident underway on Watertown Street after a woman in her late 60s was struck by a flatbed tow truck. The woman was pronounced dead at the scene not long after officers arrived. "At approximately the same time, a younger man, believed to be related to the victim, became engaged in an altercation with the driver of the tow truck," said Middlesex District Attorney Marian Ryan. "The driver of the tow truck was stabbed approximately five times in the torso." A pedestrian was fatally struck by a tow truck in Watertown, Massachusetts Wednesday and her son retaliated against the driver by stabbing him multiple times. Zeidan Taha said he saw the road rage unfold. "(And) the driver tell them, 'I didn’t see her, I didn’t see her,'" Taha recalled. Moe Taha, who owns nearby Jana Grill, said the driver ran inside his restaurant for help. "The driver was running for his life," he said. "I brought water and I brought rags. Yeah, a lot of rags because they are bleeding a lot." The driver, who works for Fogerty's Towing, was taken to a Boston area hospital where he is listed in critical condition. The man who stabbed the truck driver following the pedestrian crash was taken into custody and brought to an area hospital. He's not expected to appear in court Wednesday. 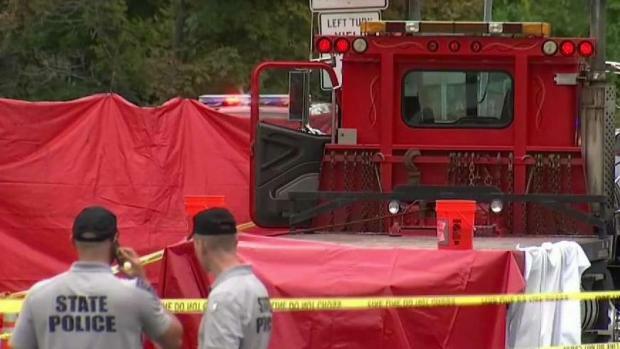 One person has been killed and another stabbed following a pedestrian crash and ensuing road rage incident in Watertown, Massachusetts on Wednesday, according to the Middlesex District Attorney's office. Authorities are not yet releasing the names of anyone involved. "We are in the process of notifying the next of kin so we are not releasing the identification of anyone at this point," said Ryan. Authorities launched a drone over the scene at Galen and Watertown streets —near the Watertown Square Apartments — to assist in their investigation. Watertown police said Watertown Street was closed. They were asking motorists to seek alternative routes. "We just ask the public to help us with that and stay away from this general area," Watertown Police Chief Michael Lawn said. The incident remains under investigation by police and the district attorney's office. 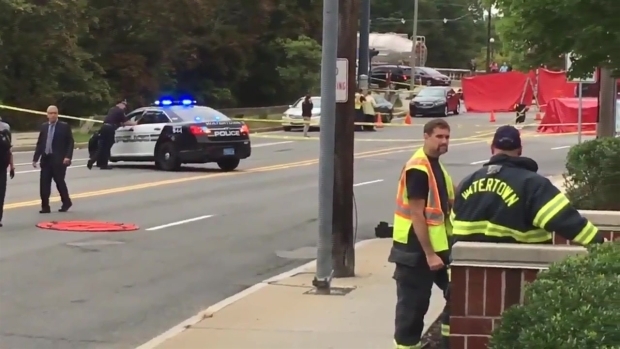 One person has been killed and another stabbed following a pedestrian crash and ensuing road rage incident in Watertown, Massachusetts on Wednesday.